Phantom Corps is a group of rogue specialists who may join Team Red or Team Blue today, then challenge them tomorrow. Nerf Rival battles will never be the same! Go into battle as a member of the Phantom Corps team with the breech-loading Kronos XVIII-500 blaster that features the team’s identifying color and logo. Open the breech to load 5 high-impact rounds into the blaster, then prime it with the spring-action cocking mechanism, take aim, and fire! The blaster sends the rounds blasting into battle at 90 feet per second (27 meters per second). This Nerf Rival blaster also has a trigger lock, and tactical rail. It comes with red and blue flags that players can wear whenever they choose to join Team Red or Team Blue. Experience the intensity of Nerf Rival with the Nerf Rival Phantom Corps Kronos XVIII-500 blaster! • Includes blaster, 5 rounds, 2 flags, and instructions. 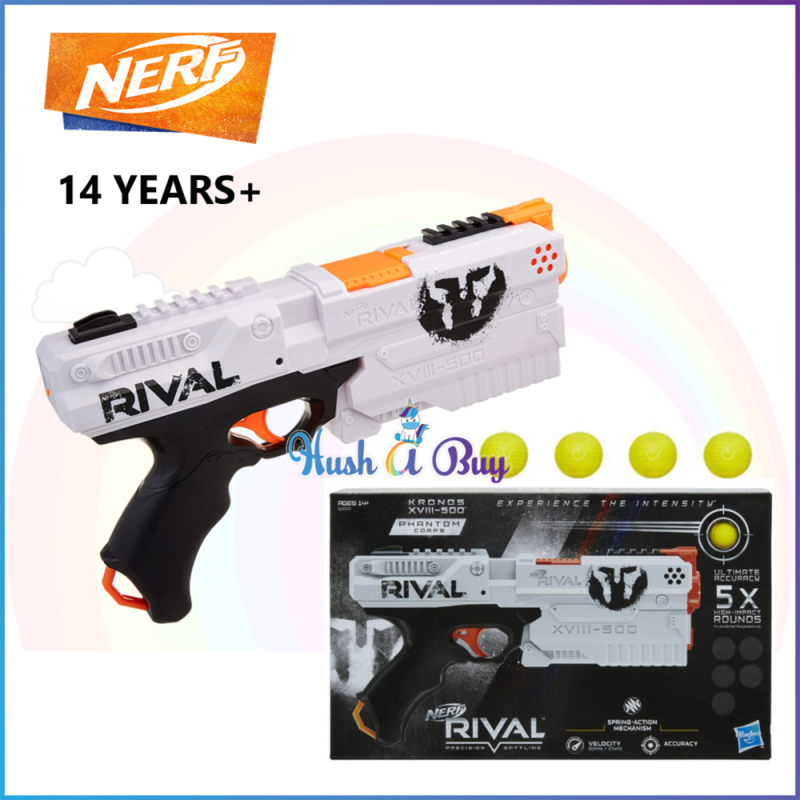 • For use with Nerf Rival products only. Includes blaster, 5 rounds, 2 flags, and instructions.